Cape Town – go fly a Kite! 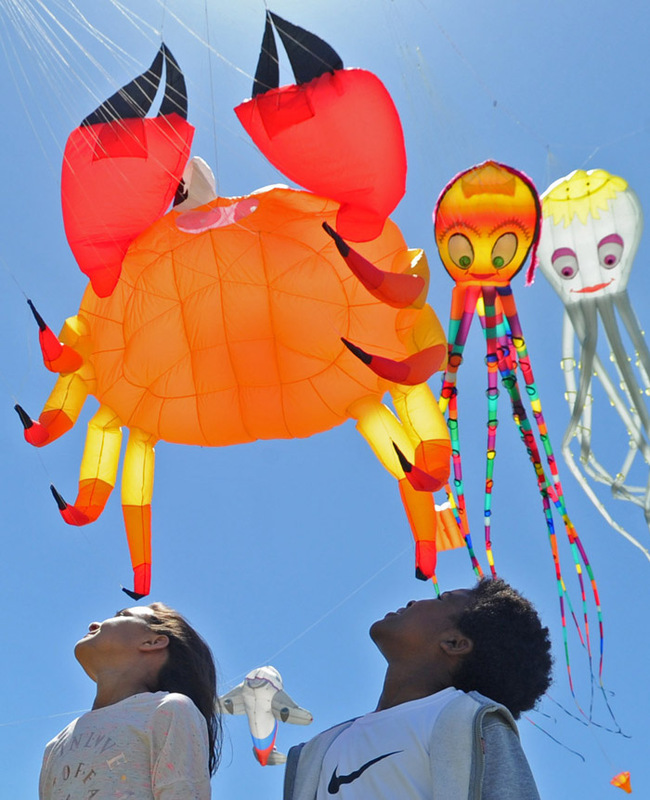 Come and meet an aerial ‘big five’ when Nemo, Squid, Octopus, Red Teddy and Bertie the Worm take to the skies at the 24th Cape Town International Kite Festival on 27 and 28 October, in Muizenberg. 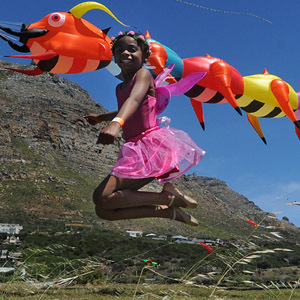 It is Africa’s biggest kite festival and sees kiters from around the world flying incredible kite creations in support of Cape Mental Health, South Africa’s oldest mental health organisation. The annual kiting extravaganza is the grand finale to October’s Mental Health Month campaign and has been flying in support of Cape Mental Health since 1994. Statistics show that every year one person in four will have a mental health condition. Mental health affects everyone but for people living in a disadvantaged urban or rural community, the impact of disability and poverty can be particularly challenging. Bring along your own kite to fly in the public flying arena, buy a kite at the festival or make one; there are several free kite-making workshops for children and adults on both days. There is also live entertainment (dance, music and comedy), a tea garden, food trucks and fairground rides. The free, supervised Toddler Zone gives parents a chance to sit down and relax. Visitors are welcome to bring along a picnic but please leave dogs at home. 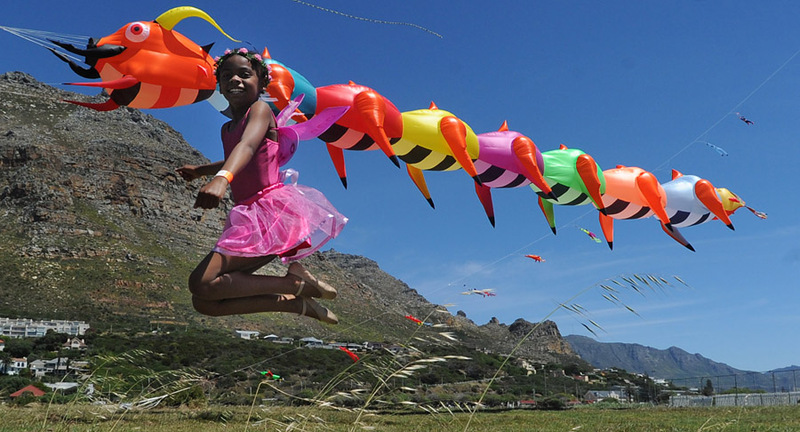 The 24th Cape Town International Kite Festival is at Zandvlei Nature Reserve, Muizenberg (corner of Axminster and The Row) on 27 and 28 October, from 10 am to 6 pm. There is lots of parking at Muizenberg High School and access by train (False Bay or Muizenberg stations). Entry is R40 (R15 for children 12 years and under). Tickets are available at the gate or via www.Quicket.co.za. For info visit www.capementalhealth.co.za, contact Cape Mental Health on 021 447 9040 / info@cmh.org.za or follow @CTKiteFest on Facebook, Twitter and Instagram. Cape Mental Health is an award-winning non-profit organisation providing, or facilitating, comprehensive, proactive and enabling mental health services in the Western Cape. We are committed to challenging socially restrictive and discriminatory practices affecting the mental health of all people, and our work is underpinned by a commitment to quality, excellence and professionalism. We reach about 19 000 people annually with a staff complement of 150 members across 22 intervention programmes. Our community-based services provide enabling mental health care to persons with emotional adjustment problems, and those with mental disability (intellectual and or psychiatric/psychosocial), and adopt a holistic, family-focused approach. Our life skills and work skills projects for persons with mental disability include a focus on skills training and workplace experience, individual job coaching and ongoing support, on-site support for the employer and employee, reasonable accommodation, and assistance with support structures. We are recognised at national and international levels and were awarded a prestigious Zero Project Innovative Practice Award 2017 for our Training Workshops Unlimited’s intensive skills development and career path training programme for adults with intellectual disability. For more information call 021 447 9040, email info@cmh.org.za, visit www.capementalhealth.co.za or follow us on Facebook @CapeMentalHealth or Twitter @CMH_NGO. Issued on behalf of Cape Mental Health by On Course Communication. For media queries contact Amanda Olckers or Cathy Williams on 021 782 0877 / 082 560 7699 /Info@OnCourseCommunication.co.za.